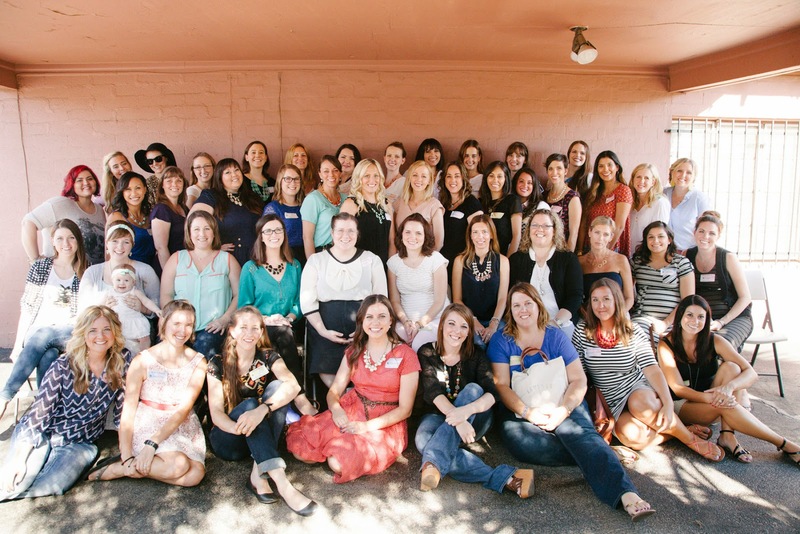 Every few months, Arizona women of the blogging community gather together to network, learn, and have fun! We call it the "Arizona Bloggers Meet Up!" Honestly, when I first heard about the group I was a little hesitant--I thought it would be cliquey like high school, but literally every single woman I've talked to has been super friendly and shares something in common with me. Finding this group has been a blessing, as I have already grown as a blogger because of it. 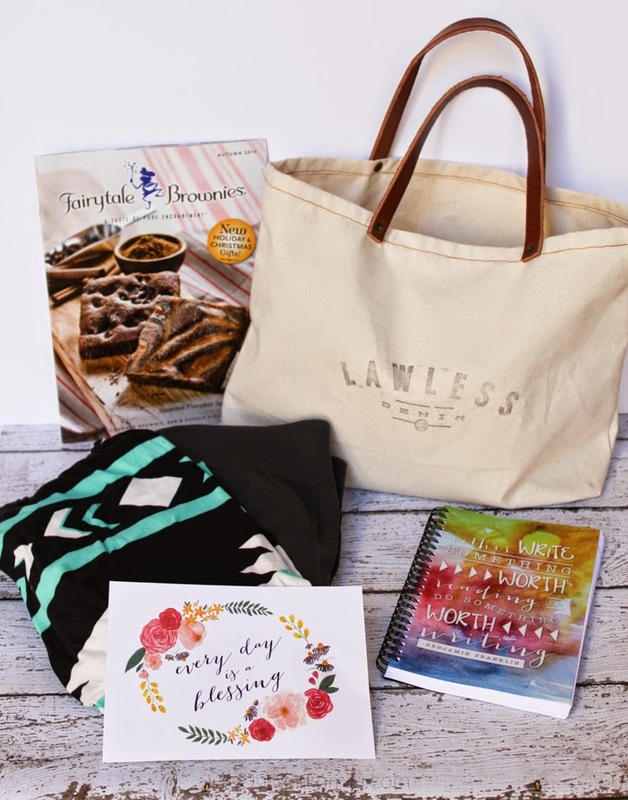 If you're an AZ blogger lady, you'd for sure enjoy this group! 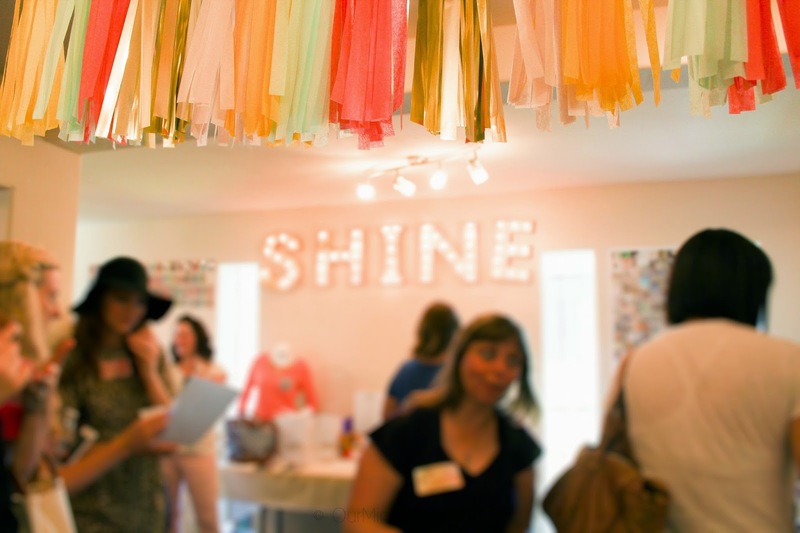 The Shine Project is a non-profit located here out of Phoenix where Ashley (the woman behind TSP) employs at-risk teens, and then serves as a mentor to these young adults through service, leadership, and family-inspired collaborations. The proceeds of The Shine Project Shop go to these young adults' education--so when you buy an adorable bracelet like this one shown below that I wore to the event, you are helping an at-risk teen save money to go to college! It's SO awesome! I love reppin' The Shine Project! 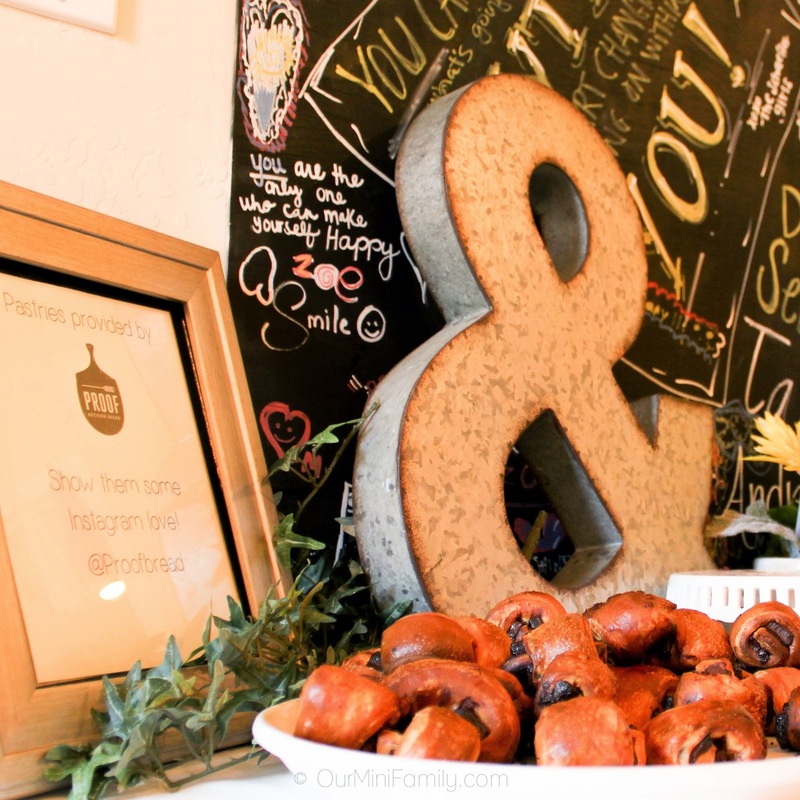 We had so many fantastic goodies to snack on, but my favorite was Proofbread's chocolate croissants! YUM! I think I had 2...OK maybe 3. 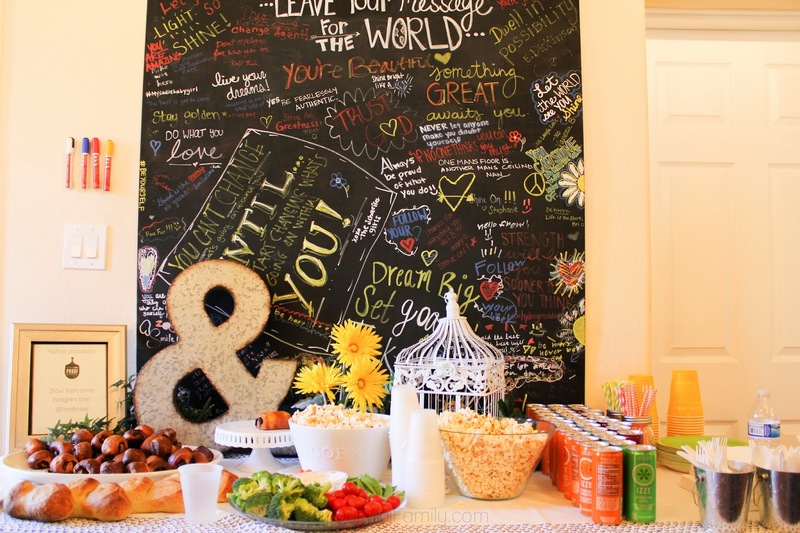 Once we got our chow down on a bit, we were offered a few different 30 minutes workshops to attend. The two that I went to were photo styling/staging with Stephanie of Life Created, and also talking about how bloggers work with brands with Emily of The Banner Shoppe and Summer of The Girls with Glasses! I had so many great takeaways from both of these workshops--a part of becoming a better blogger is educating yourself on ways that other bloggers are succeeding; however, it is always important to remember that you shouldn't compare yourself directly to another blogger to measure success. Your success is measured by your journey and YOUR journey alone. This spoke volumes to me. I left the AZ Bloggers Meet Up feeling amped up and ready to go! Special thanks to all of the women who helped orchestrate the workshops, and those who participated in speaking at them! Guess what, y'all? Adam and I will be getting new photos sometime this year--because guess who won a 1 hour photo session with Let Me See You Sparkle Photography and has two thumbs? THIS GAL! And special thanks to the vendors who provided us with some swag! Holler! I mean, can you blame me?! Doesn't it look so amazing? And I am *obsessed* with our Yellow Bungalow Shop print! Also, if you're wondering, this adorable frame is from The Squirrel Cottage on Etsy! And finally, I'd like to thank the women who organized this past AZ Bloggers Meet Up once more! You ladies all know I adore you--you have put such a considerable amount of time and effort into making these events a huge success! Kudos to Kayla, Camille, Chrissy, and Deidre! Hi Cathy! This is a great recap! I guess if they hold another event there I will be sure to pack a little battery powered fan. Ha Ha! Your pictures are so great! Seriously, always a pleasure to have you! Thanks for being such a sweet, warm, friendly supporter! I'm so glad you're a part of our community! Thanks for having all of us at the event, and I am already SO stoked for the next meet up!! Your photos are amazing. I need to learn from you. My blog could so use some better photos. Great job on the recap and it was so good to see you. We really need to sit down for coffee and just chat about what ever our hearts desire. I always feel amped to do great things after meeting with other bloggers! I appreciate that--you know, I think the difference between my old photos and the newer ones (like last year or so) is the post-processing that I do. Would love to talk photo editing and camera equipment with you some day! Maybe that would be a good excuse to sit down and have a "mommy elixir" hehe!